After looking at many vehicles at a number of dealers both in person and online, I believe westlock motors offered a great vehicle at a fair price and reasonable interest rate to go with it. I'm very pleased with not only my purchase but with the treatment I recieved from John Bosman and the sales manager Brett McNelly who were very accommodating friendly and flexible throughout the whole process. Apart from the test drive and vehicle orientation, we were able to complete all the paperwork in less than an hour. Based on my experience with weslock motors, at this time, I am inclined to do future business with them. Excellent experience in getting our first company vehicle here at Silverstone Precast! I am previous customer with Westlock Motors, and would highly recommend them to anyone! If they don't have it on the lot, they will get what you need for you, and in very short time! 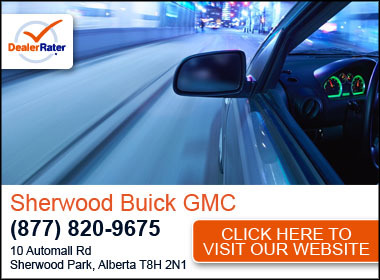 Definitely buy here again, and anyone else who needs a great GM vehicle, don't look any further than Westlock Motors! Thanks to the entire team! These guys went far beyond our expectations, great help from John to find us the vehicle we wanted. Delivery was a breeze, Colby took care of the financing details and Warren took us through the vehicle for delivery. Very good team work to fill in when our salesman couldn't be there. We highly recommend this dealer for there care and professionalism in this vehicle purchase. I recently purchased a new vehicle as did my husband. We have purchased six vehicles from Westlock Motors Ltd. since 2011. We have other GMC/Chev vehicles that we own and have brought in for service. We have been very pleased with the sales and vehicle service to date for cars, heavy duty trucks, 4x4 vehicles and SUV's. Thank you! starCant say enough, but thank you for the great service in 2017, I use my truck for work and the shop gives timely and excellent service, getting my truck in and out. the whole staff there is friendly and accommodating. looking forward having Westlock Chev. olds taking care of me in 2018. "GMC Canyon Denali 2017 "
My husband noticed the 2017 GMC Canyon Denali online at Westlock Motors. He called and spoke to John Bosman and John explained a few things to him & about other Canyons that they had in their lot. He told us to come down and check them out. We went that same day & purchased that same truck we called about. John was very knowledgeable, thorough & professional while explaining everything to us about the truck. From the moment of inquiring through to delivery, the assistance I received from Colby Ducharme was courteous, prompt and professional. I would not hesitate to refer anyone in the market for a new or used vehicle to give these guys a look.